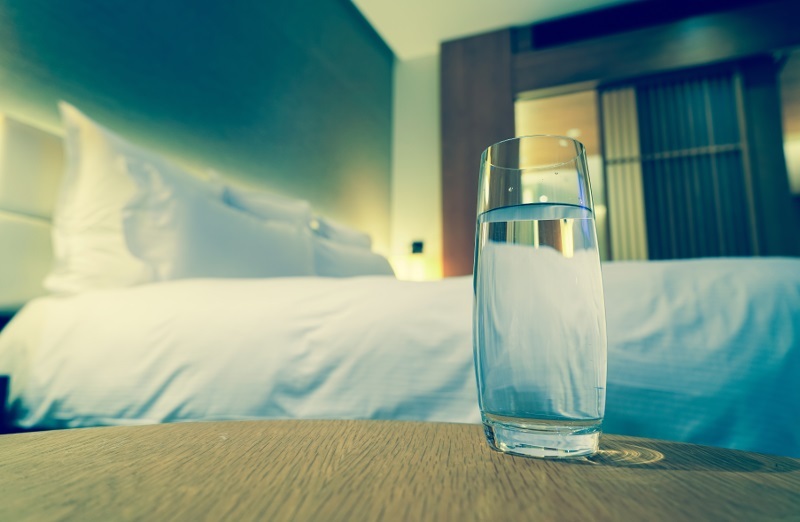 Have you ever kept a glass of unsealed water by the bed throughout the night? Did it not taste ‘off’ when you drank it the next morning? You may think that the glass of water has lost all its freshness. But is it possible for water to expire? The funny taste you feel is actually due to an increase in the acidic levels of the water. The pH balance of water lowers when it is left uncovered overnight. The water absorbs the carbon dioxide which makes it acidic. But that is not worth much of your concern. What should draw your attention is the risk of water-borne diseases. Not all these diseases are caused when water is externally contaminated. Water is an element prone to life. It can grow algae and bacteria when kept unsealed for long. A video released by Discovery News discusses exactly this. Microbes aren’t consuming and rotting the water. However, the chemistry of water does change, even if by a slight margin. 0.13% is converted into carbonic acid which later probably forms bicarbonates and carbonates. But this does not mark water as unsafe. Water left outside in the open is a potential host to mosquitoes and algae. Water left unsealed inside the house attracts dust. Hence, it is important to boil or filter drinking water. Water can be stored indefinitely, if it is done correctly. The modern times have made it possible for the chemical purification of water. Water should not be kept together with pesticides, but other than that, it is safe to store it for a long duration. However, water requires proper containers. Not all forms of plastic bottles can be considered safe. Water left unsealed makes it prone to the growth of bacteria. Bottled water is enabled to ward off such growth for a few days but not forever. It is only reasonable that we drink water that isn’t contaminated. So it is best to pour yourself a glass of water when you need to drink it rather than leaving it poured and unsealed throughout the night. 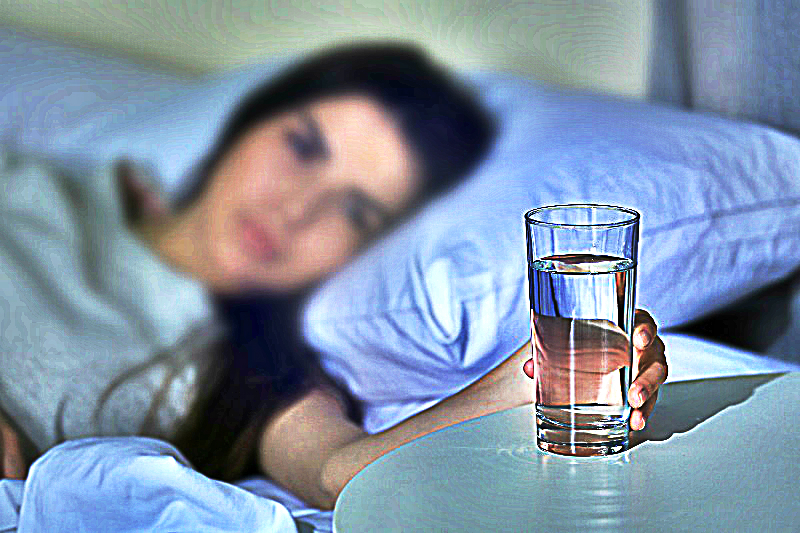 And if you really don’t like getting up just for a glass of water, you can always keep a bottle of water by the bedside.